In 1969 Herbert Simon put forward the idea that: “in an information rich world, the scarce resource is [human] attention.” Today this would seem to be increasingly true. This talk will suggest that a number of the important challenges for modern interactive computing – including goals we describe as “invisible”, “ambient”, “pervasive”, “ubiquitous” or even “calm” – are fruitfully considered in these terms. I will suggest that traction can be gained by focusing on conservation of human attention as an organizing paradigm, describe some specific approaches to building systems in this light, and consider where the most fruitful research challenges for future work in this area may lie. 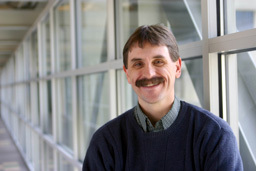 Scott Hudson is a Professor in the Human-Computer Interaction Institute within the School of Computer Science at Carnegie Mellon University where he founded the HCII PhD program. Elected to the CHI Academy in 2006, he has published extensively on technology-oriented HCI topics. He has regularly served on program committees for the SIGCHI and UIST conferences, and served as the papers co-chair for both CHI '09 and CHI '10.